People often ask me “How’s Mexico?” and as so much of Mexico now seems normal to me, I don’t know how to respond. 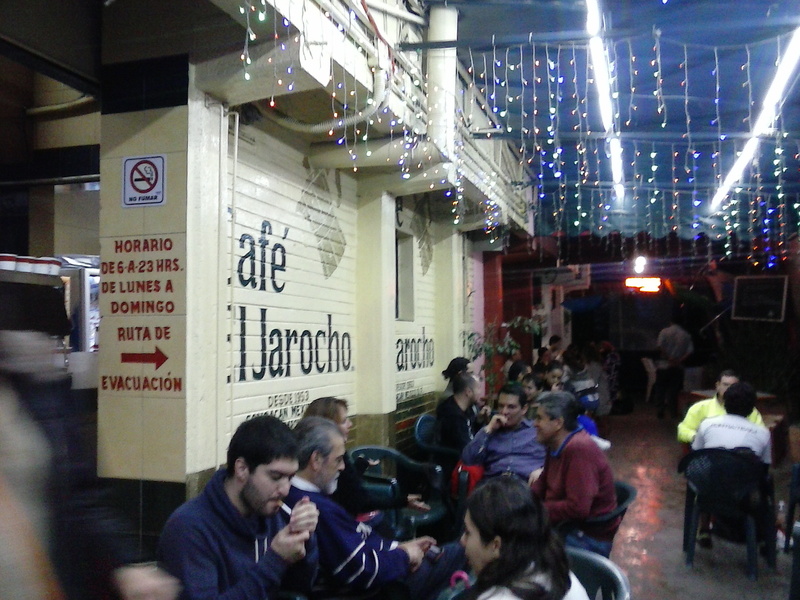 “Cafe Jorocho on bikes?” I read on my phone as I walk in the door just from biking back from training. “yeeessssss!” I reply to my friend David. We meet at a in-between location where, to my delight, our coach and friend, joins us. “You know how to bike in the street?” he asks. “Good! I want to see it.” How is it that coaches even when they’re not coaching still have a way of coaching? I love biking in cities, especially cities that people say are not bikeable. Especially in cities whose streets and neighborhoods are so varied and interesting and that it’s too hard to get a feel for them if one is always in a car. Our bike wheels hit the cobblestone streets where cotton candy and artesenal ice creams are being sold on the corners of the small town square. The market is crowded; full of stands that sell memeles, and any other type of tortilla that you could possibly want. We settle for a restaurant next door first of course parking our bicycles at the estacionamiento negotiating and thanking the attendants for watching our locked up bikes hidden by the garbage cans in back. Look of death. “It’s the world cup, Sarah.” Oh right, the game. The restaurant’s TV has something else on so Luisen props his phone up against the table like an old mobile tv; it works like one too, with the internet’s connection in and out. My friends stand hunched over their seats watching the tiny screen as the internet connection wobbles. 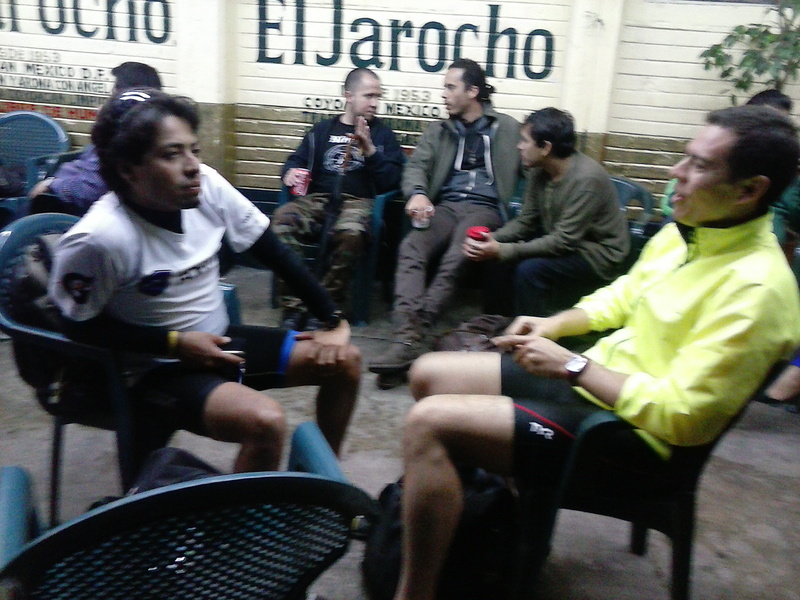 After a Oaxacan style lunch with mole and tlayudas we thank the attendants at the estacionamento again and get our bikes to head for Cafe Jorocho, a Veracruzan style coffee. The rain is coming down faster, and I glide along the wet streets (only having to ask for directions once)! The warmth that I feel inside the apartment building after the doorman lets me in is priceless. I am a wet satisfied full rat, and a warm shower feels good. And then I collapse into bed so that I can be ready to run the next morning. Monday morning I hear squeaking like a rocking chair above me. “What are the neighbors doing?”I haven’t heard that sound before in this building. I start to feel dizzy and I recognize what this is just as my roommate, E knocks loudly on the door. “What’s our other roommate’s name?” she asks. “Laurel!” I shout banging on her door as her boyfriend scrambles to put his jeans on over his boxers. “We need a key!” yells E, and at that point we even debate if it’s worth evacuating as the apartment has stopped moving. This entry was posted in adventure, Mexico, travel and tagged cafe Jorocho, coffee. Bookmark the permalink.